The year was 1974—a time of oil shortages, skyrocketing inflation, the beginnings of recession—a time when economic crisis was starting to replace war in Indochina as the central event dominating the news and defining the possibilities for social change. Most activists were unprepared for the new economic problems of the late 1970s. 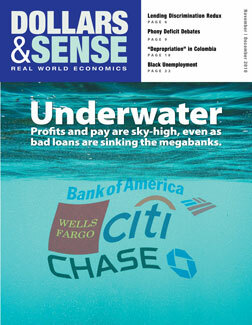 No existing publication offered them a widely accessible, usable analysis of the U.S. economy. Dollars & Sense was created to meet that need. 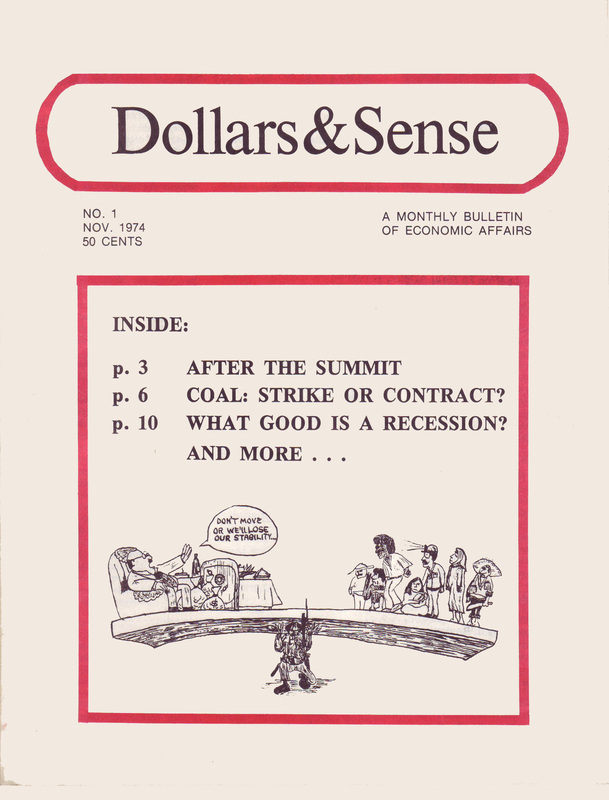 The first Dollars & Sense, a 16-page bulletin that sold for 50 cents, came out in November 1974. Sponsored by the Union for Radical Political Economics, and produced by a collective of URPE members, Dollars & Sense sought to challenge the mainstream media's account of how the U.S. economy works by publishing critical articles in an accessible format. Since then, Dollars & Sense has grown in many ways. In addition to a bigger and more visually appealing magazine, we now publish books that are studied by thousands of college students every semester, as well as union organizers, community activists, and anyone looking for well-written, carefully researched economics reporting. Dollars & Sense was founded as a democratic, non-hierarchical collective of radical economics faculty and graduate students. Today, D&S is no longer officially affiliated with URPE, but it's still governed collectively and without hierarchy. Collective members write for the magazine and help edit books and articles. Most importantly, we're still working to meet the need for left perspectives on current economic affairs. D&S has been able to survive and grow over the past 40 years because of the contributions and hard work of many people. There are no deep-pocketed corporate sponsors— just people who understand the importance of this work and want to see it continue. Make a donation to support Dollars & Sense.